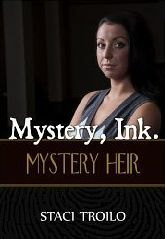 A big thanks goes out to Missy Frye for hosting a book spotlight for my new novel, Mystery, Ink. : Mystery Heir. There you’ll find a short bio, a description of the book, and a never before released excerpt. Check her post out here. I hope you enjoy it, and send Missy some love!